Irrigation Tunnels is the section of the Imperial Sewers closest to Aldmeri Dominion territory. It contains the Aldmeri Dominion Base and allows access to the Arboretum and Temple District. 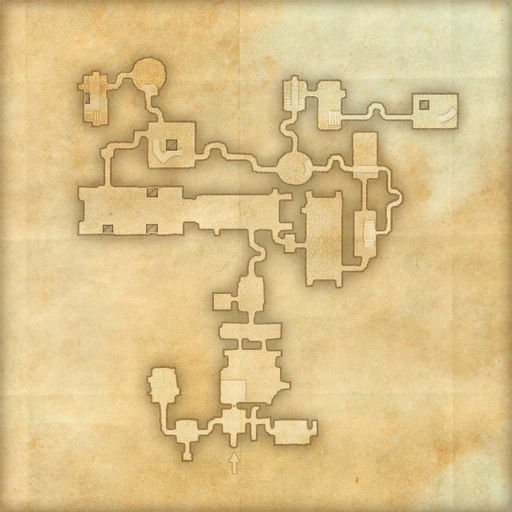 It connects to the Abyssal Depths in the northwest corner, and also contains an entrance to the White-Gold Tower group dungeon and the Ancient Underground. 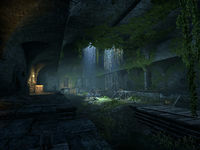 Aldmeri Dominion Base — Located at the southern end of the sewer. Ladder to Arboretum — Located in the northeastern end of the sewer. Ladder to Temple District — Located in the northern part of the Training Grounds area. The merciless Hzu-Hakan trains his savage Clannfear. Dungeon: White-Gold Tower — Located just outside the Aldmeri Dominion Base. A Bounty Mission Board can be found in the base, allowing those PvP quests to be accepted and turned in without leaving the City. This page was last modified on 25 August 2018, at 16:08.